Longwood Gardens consists of 1,077 acres of gardens, woodlands, and meadows in Kennett Square, Pennsylvania, United States in the historic Brandywine Valley. One of the premier horticultural display gardens in the world, Longwood is also home to one of the most significant fountain collections in North America. 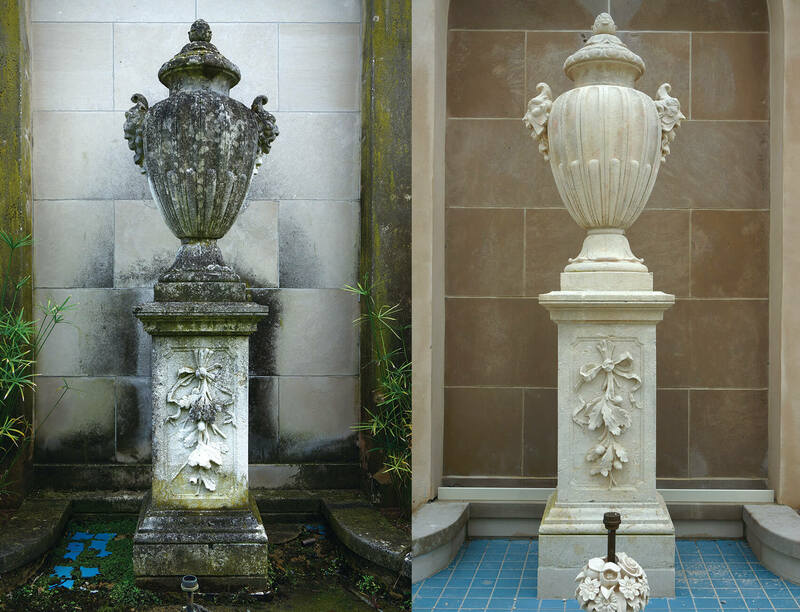 The Main Fountain, inspired by European design and first turned on in 1931, is the jewel of the fountain collection. 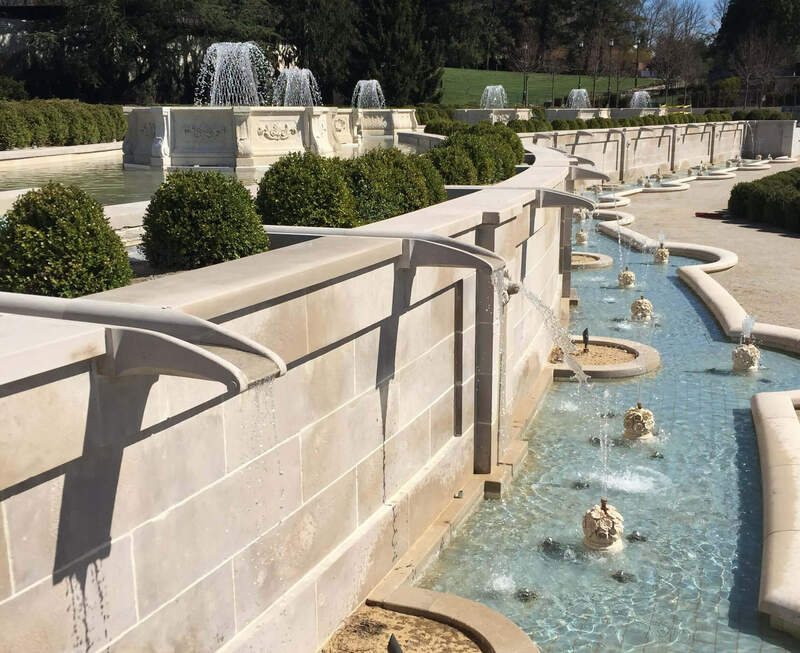 In 2014, Longwood embarked on a two-year revitalization of the Main Fountain Garden. 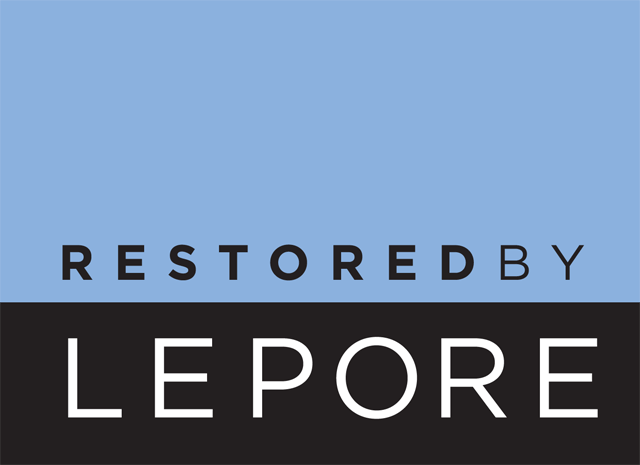 The project included a complete restoration of over 4,000 pieces of limestone. Work included patching, crack repair, dutchmen repairs, reproduction, full unit replacement, pointing, and cleaning. 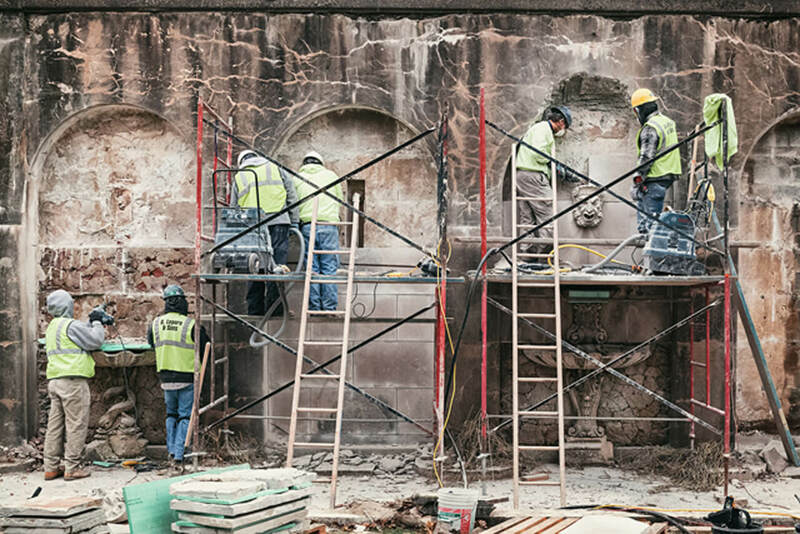 Due to excavation and underground work, the limestone units had to be disassembled, crated, trucked to an offsite warehouse for restoration, re-created, and returned to the jobsite for installation.